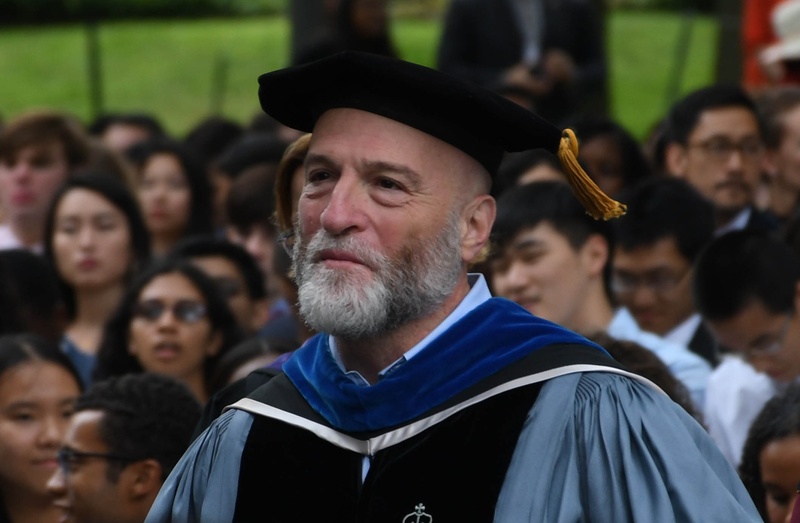 Dean of Undergraduate Education Jay M. Harris, pictured at Freshman Convocation earlier this year, will step down at the end of the academic year. Dean of Undergraduate Education Jay M. Harris will step down at the end of the academic year after almost a decade in one of the College’s top administrative positions, Dean of the College Rakesh Khurana announced in an email sent to undergraduates Monday. “I write today to share the news that, after a decade of outstanding leadership as Dean of Undergraduate Education, Jay Harris has decided to step down at the end of this academic year,” Khurana wrote. Harris was the first to hold the position after the College restructured its leadership hierarchy. While the College used to be co-led by both a Dean of the College and a Dean of Undergraduate Education, the position was consolidated in 2003. Harris was the first to hold the new Undergraduate Education deanship, which is now situated under the Dean of the College. An internal search for Harris’s successor is beginning now, Khurana told undergraduates in his email. Khurana said he would appoint a Faculty Advisory Committee, which will include students, in the weeks ahead. 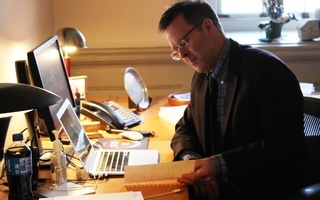 Harris, who has held the position since 2008, oversaw significant changes to academics at the College, including the 2009 introduction of the Program in General Education and its recently completed revamp. Harris also worked to restructure the College’s class schedule to prepare for the School of Engineering and Applied Sciences’s expansion into Allston. Harris’s tenure was also marked by major changes in how Harvard handles academic dishonesty, which became increasingly pressing when two major cheating scandals rattled the College. Harris spent several years helping to craft and implement the first Honor Code at Harvard. 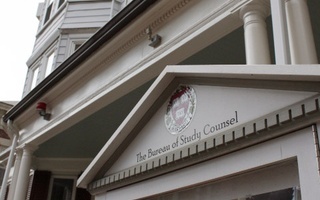 Administrators began to discuss reforming Harvard’s academic dishonesty policy in 2010, and Harris pushed for the College to consider an honor code early on. 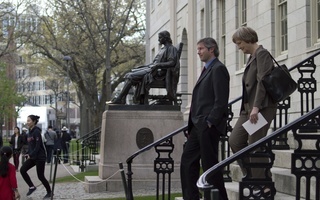 He went on to lead Harvard to developing its iteration of an Honor Code, which went into effect in 2015. But amid strides in reforming how the College handles cheating, Harris’s term also saw two major cheating scandals—one in Government 1310: “Introduction to Congress” in 2012, and another with Computer Science 50: “Introduction to Computer Science I,” the College’s flagship introductory computer science course, in fall 2016. Last semester, at least 60 students in CS50 faced academic dishonesty charges before the Honor Council, the body that adjudicates academic integrity cases. 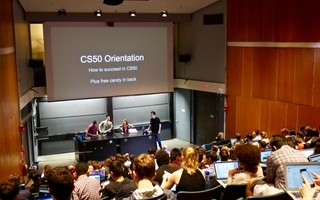 After the spate of cheating cases last year, Harris appeared at a CS50 lecture earlier this semester and urged students taking the course not to cheat. Khurana, in his email, highlighted several other accomplishments of Harris’s term, including spearheading the highly popular Classroom to Table program, overseeing the development of Expository Writing 40 and Humanities 10, and expanding Freshman Seminar offerings to include courses from a wide range of disciplines. Harris’s announcement is the latest in a string of several other departures—over the past year, multiple Harvard officials have left the school for other jobs, including former University Title IX Officer Mia Karvonides, former Chief Diversity Officer Lisa M. Coleman, and former director of the Office of Sexual Assault Prevention and Response Alicia Oeser. Dean of Freshmen Thomas A. Dingman ’67 announced last month that he plans to step down at the end of the academic year. A professor of Jewish Studies, Harris also served as served as a co-Master of Cabot House, preceding Khurana in the role. Throughout his laudatory email announcing Harris’s retirement from the position, Khurana thanked Harris for his service to Harvard. “Dean Harris has been a tireless citizen of the FAS and the College – and we will miss his leadership greatly,” Khurana wrote. Members of the Faculty of Arts and Sciences raised concerns about how frequently students would be required to make an affirmation of integrity under an updated proposal for the College’s first-ever honor code, which was presented by Dean of Undergraduate Education Jay Harris to the faculty at their monthly meeting Tuesday.